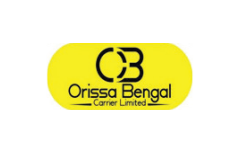 Business description - Orissa Bengal Carrier is a logistics company headquartered at Raipur, Chhattisgarh, serving a broad range of industries, including the steel, coal, aluminum, cement, petrochemicals, paper, marble, tiles, infra, textile, FMCG. The various types of services provided by the company include: Full Truck Load Transport Services, Parcel and Part Truck Load Services/less than Truck Load (LTL). The main business activity of the company is Full Truck Load Transport service wherein it transports the consignment by road all over India. The company is one of the IBA approved transporter having ISO 9001:2015 certification for provision of Quality Management System Service. Orissa Bengal Carrier IPO allotment status is now available on Bigshare Services' website. Click on this link to get allotment status.